That is why health experts increasingly see migration as a key factor to consider as they develop programs to control the spread of TB. Unfortunately, in addition to the personal costs, the high rate of TB-related illness and death among people living outside their home country can have devastating economic effects at every level – from individual households to society as a whole. Those with the disease may not be able to bring home a much needed income, send money back to their families in their home country, or contribute to society as they struggle with TB illness. All this means that we need to think about migration in new, smarter ways. For a start, we have a responsibility to ensure that the human rights of migrants are respected, including their right to health and safety as they leave their birth country and settle elsewhere. Doing so requires a careful balancing act between the legitimate concerns of governments to ensure health security with the need to protect the health of individual migrants. With this in mind, the U.S. Centers for Disease Control and Prevention and the International Organization for Migration have been working closely for more than 50 years to provide health assessments and TB treatment for migrants coming to the United States. For example, we help prevent disease and ensure immigrants and refugees receive the treatment they need for TB, including through the new TB screening guidelines rolled out during the past several years, guidelines that are already succeeding in identifying additional cases of TB and making sure immigrants and refugees get the care they need prior to their arrival in the United States. The problem is that TB prevention and control efforts often overlook the specific needs of migrants and how they differ from others who have TB. 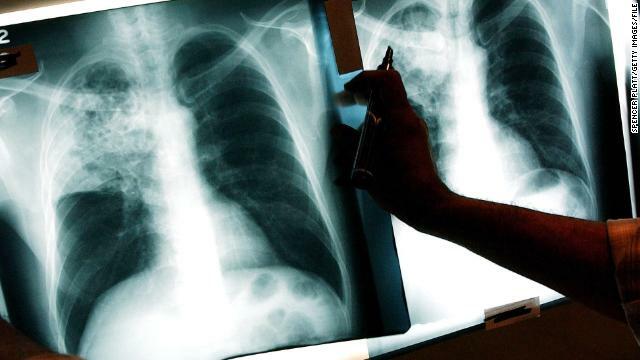 Delays in diagnosing TB among this group – and lapses in treatment – are common, in part due to the difficulty those suffering face in accessing affordable healthcare, lack of health education, cultural beliefs, stigma, and marginalization. And, because many migrants are among the missing three million, the absence of TB prevention and control strategies tailored for them remains a barrier to eliminating TB around the world. Ultimately, supporting the health of this vulnerable group makes sense from financial, social and public health perspectives, and our hope is that we can move toward eliminating TB as a public health problem in the next two decades. Acknowledging and addressing the needs of migrants is a good place to start. « Previous entryWhat I'm reading: Why would Obama administration do this? This article here makes an excellent case for Communism in third world countries and the blatant failure of the U.S. and it's crony allies to do anything about the spread of TB. We shelled out billions of dollars year after year on this problem and yet it only got worse through the years! We need a laissez-faire foreign policy. You should be tared and feathered for your blatant lack of political correctness, Joseph! Although what you said above is true, we don't want too many people here knowing it. someone might wise up and I myself intend to remain politically correct! You nailed it, Joseph. Thank you. I'm sick and tired of all of this stupid political "correctness" and the foreign aid which seems to benefit only the elite in these countries! Why do all three of these posts have the same avatar? Why would 1 person pretend to be 3? Joseph, many months ago i brought up this subject when our congressional clowns refused to work on a new resolution towards immigration reform! Now the outcome of no one doing NOTHING towards fixing that problem are comming front and center. And the usual haters will blame Obama as they always do but had congress just ONCE in the past 6 years attempted to do their jobs this might not have become such a big prob! Of course ppl comming to this country illegally do not have the inoculations that US citizens have! The countries many of them come from dont have running water or toilets even! I would like to thank you for the efforts you've put in writing this web site. I'm hoping the same high-grade web site post from you in the upcoming also. Actually your creative writing abilities has inspired me to get my own web site now. Really the blogging is spreading its wings quickly. Your write up is a good example of it.